Google I/O 2017 has been absolutely stuffed with exciting announcements, and it is still coming up with a lot more. The company has announced Android 8.0 beta, which is now open for sign-up now. The first beta release of Android O is available today at Android.com/beta. If you own a compatible Pixel or Nexus device then you can enroll in the beta program. Many new features are coming to Android 8.0 with the beta version. The first being the Picture-in-Picture mode, which will allow users to use the home screen while putting the active app in a small window. This feature on Android O would be supporting YouTube, Netflix, Google Maps, and many more apps. Another salient feature is Notification Dots that will appear on the home screen when you have a notification from an app. This feature would be visible on apps that would let you see specific notifications from an app. Google also stated that these three dots would be according to the colors of the app icon. Other Fluid Experiences on Android 8.0 include Autofill, which fills details automatically on apps, Chrome, and smart text selection for copy and paste functions. Google’s neural network will be working in the background to predict what the user wants to copy. Also, Google said that TensorFlow Lite would be available for Android phones by the end of this year. TensorFlow Lite is a compact version of the open-source machine learning software library. Additionally, the tech giant is also introducing a new program dubbed as Google Play Protect, which keeps the device safe from malicious apps. At the event, the company also revealed that it scans 50 billion apps a day to make sure that they are not harmful. With Google Play Protect, it wants to offer enhanced protection that would be visible to the users. The program would let users check how many apps on their device have been scanned; they will also be allowed to initiate a new scan. Google touts Android O to have faster boot time on Pixel devices. 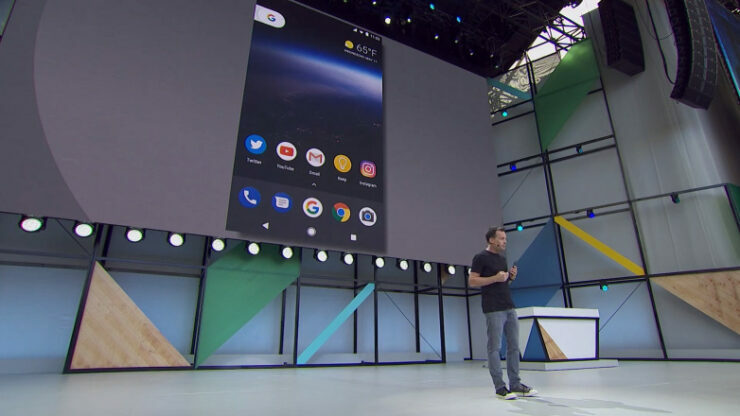 The company affirms that all the apps on Android O would offer faster and smoother experience by default, thanks to the speedy runtime of the OS. Google is also adding “wise limits” for the location and execution of the apps that run in the background, which will conserve battery life and also clear memory. Lastly, Google also introduced Play Console Dashboard that performs an all round check on every app to highlight issues that cause battery depletion, crashes, and sluggish UI. It would also allow developers to see how many users are being affected by the issue on their app, and Google would provide developers with fixes that will help in making the app better.